Available in selected bookstores nationwide. This is the story of two women from very different places whose paths cross in a brief but meaningful way in New Zealand, where the two migrants have made new lives for themselves. The story is told primarily by Sister Mary Pualele, a novice nun, as she looks back – both over her own life and that of an older nun named Olga whom she has befriended, whose story unfolds in a diary which she has gifted to Pualele. Olga escaped, with her mother and brother, from a small Dalmatian village overrun by Nazis in the latter part of World War II. She blames herself for a childish lie which led to a greater misunderstanding and family heartache. She carries the burden of the lie and its effect on her family til her dying days. Her fractured relationship with her estranged mother and resulting emotional abandonment is painful to read about. Olga concedes that it is to spite her communist mother, as much as it the comfort of familiar customs, that leads her to the Church. Pualele arrives in Auckland, as a nine year old, to join an aunt and uncle for a chance at a “better life” in New Zealand. She longs to return to her village in Samoa, to her mother. Life in Auckland is loud and confusing. There is the constant whispered threat of being caught out as an “overstayer”. This is the era of dawn police raids, a shameful era of policing in New Zealand. Pualele is torn between her painful longing to return home to Samoa and guilt, knowing she is supposed to be grateful for the opportunity she is being given by her aunt and uncle. She prays that God will help her find the strength to face her new life and finds a sense of calmness in the Church that comforts her in a way no other place has done. The author is of Croatian descent and Olga’s story was inspired by the experiences of her grandmother, aunts and uncle who were evacuated from Dalmatia to Egypt in the latter stages of World War II, and eventually made their home in Auckland. The book is as much a recounting of immigrants’ experiences assimilating to New Zealand as it is a personal story of the two women. And it was this aspect that particularly held my interest. As a fourth-generation New Zealander, the challenges of trying to assimilate into a new country, whilst wanting to hold fast to one’s own culture, is not something I have experienced. And this after all is one of the reasons why reading is so important; the ability to try and see the world through someone else’s eyes. Even when it is our own very familiar part of the world. This is not a long book, although slightly longer than a novella. It unfolds slowly but gracefully, with the intertwining of the two women’s stories. It is a story of love and loss, and of finding your identity. 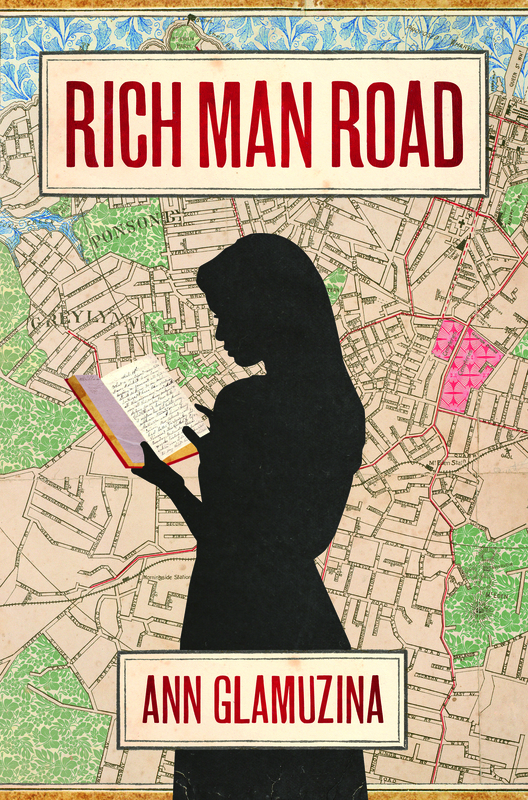 Rich Man Road is Ann Glamuzina’s first novel.